Check out the latest news and information on Lake St. Clair at www.stclairreport.com. Do Spring Caught Bass = Summer Bass? Newly introduced in May of 2015, this tri-laminate tube has already made waves. Last weekend the Xtreme Bass Tackle™ staff took this limited edition bait out to play and got good results. 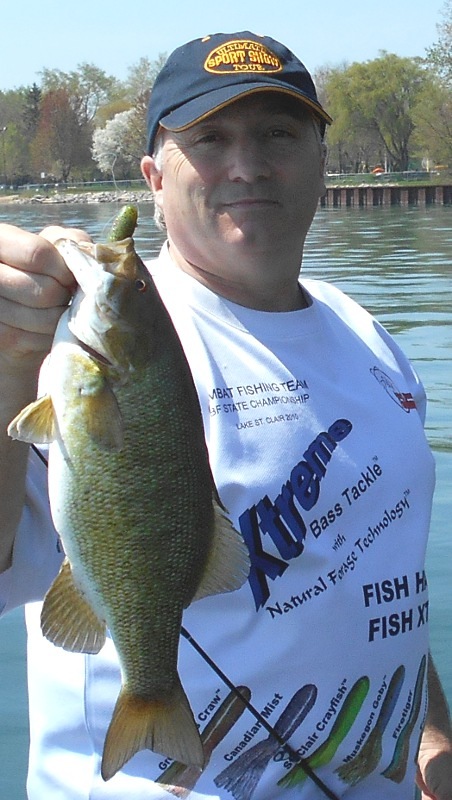 The bite was slow on the Mile Roads so we moved down toward the Detroit River and found smallmouth bass cruising around everywhere that there was sand, rock and shallow water. Normally they chase down baits that are moving in the middle of the water column but not on the day we were there. As it turns out, they wanted the bait on the bottom and they wanted Sweet Green™. 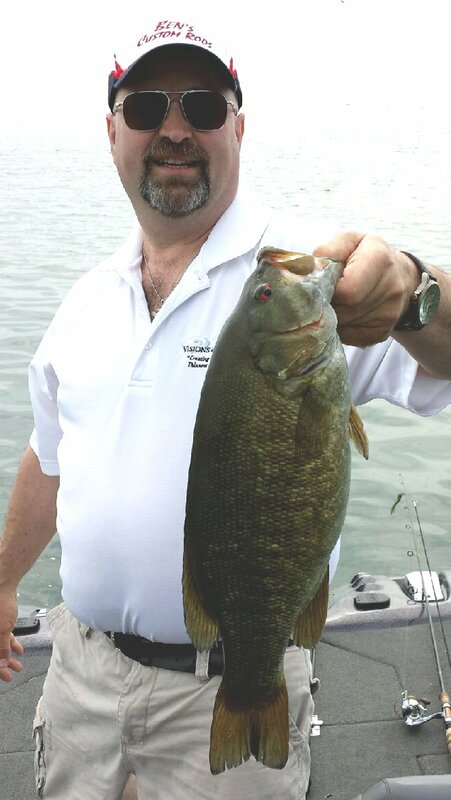 We ended up catching over half of our smallmouth on the 4″ Sweet Green™ tube. The bait has a Formula G3™ back and Canadian Mist Lite™ belly that includes a chartreuse glow showing though the front half of the tube. The green pumpkin top and green glow on the bottom make up the dominant color of the bait. The highlight color and most likely the color trigger for this particular bait is the small purple flake that runs across the top and bottom along the full length of the tube. 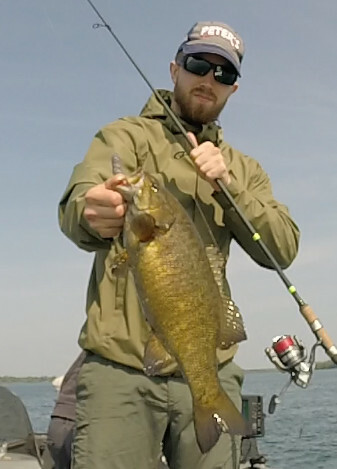 The next photo came in with a hefty smallmouth held up by Capt. Mike. Last Saturday also brought on a huge influx of those other fish that had no clue we were just fishing for bass. It’s a good thing too! Some anglers caught the fish of a lifetime and it just goes to show how diverse a fishery that Lake St. Clair really is. That wasn’t the only one caught off of that boat Saturday. 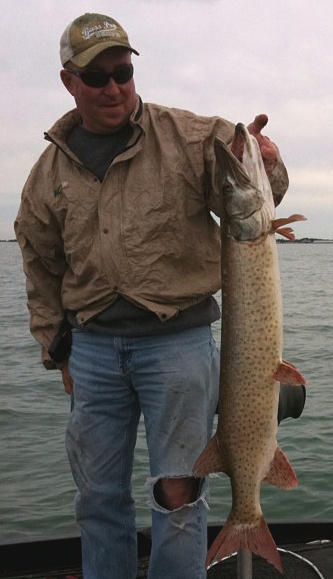 A second musky was caught and released and the day had plenty of bass to keep it interesting in between. After doing a fair share of pike fishing over the years lifting one out of the water by hand became something I was used to. Still, those toothy critters deserve some respect. It’s kinda like a backlash on a bait casting reel. I’ll make 200 casts then on cast 201 my concentration will lapse for a split second then the next thing you know I’m picking at the mono (or flouro, or braid) to get the loops out of the backlash. Well, picking up a pike or a musky can be the same kind of skill. No matter how many times you do it there isn’t much room for error as you can see in the last picture. In this case it isn’t my thumb but the thumb of one of our intrepid duo above. The last time this happened to me was when I was holding the musky under the gill area and it thrashed. 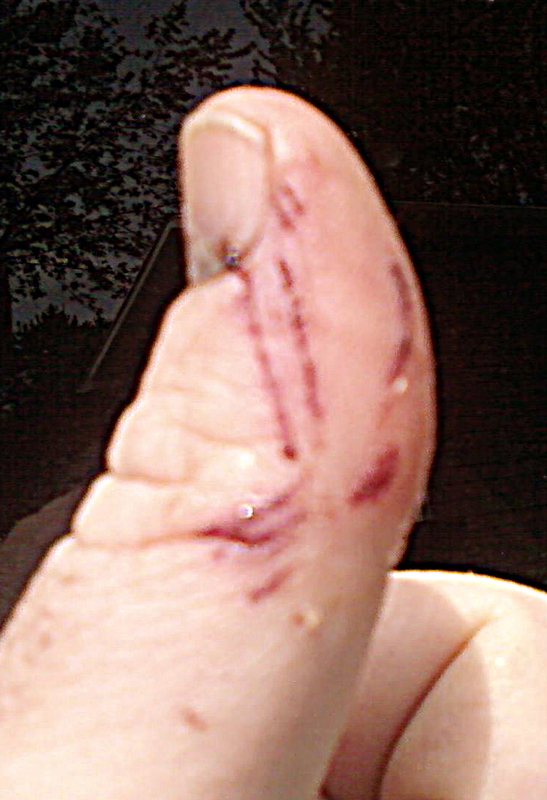 I never lost control of the fish but its teeth grazed my thumb and that’s all it took to cut through the skin. 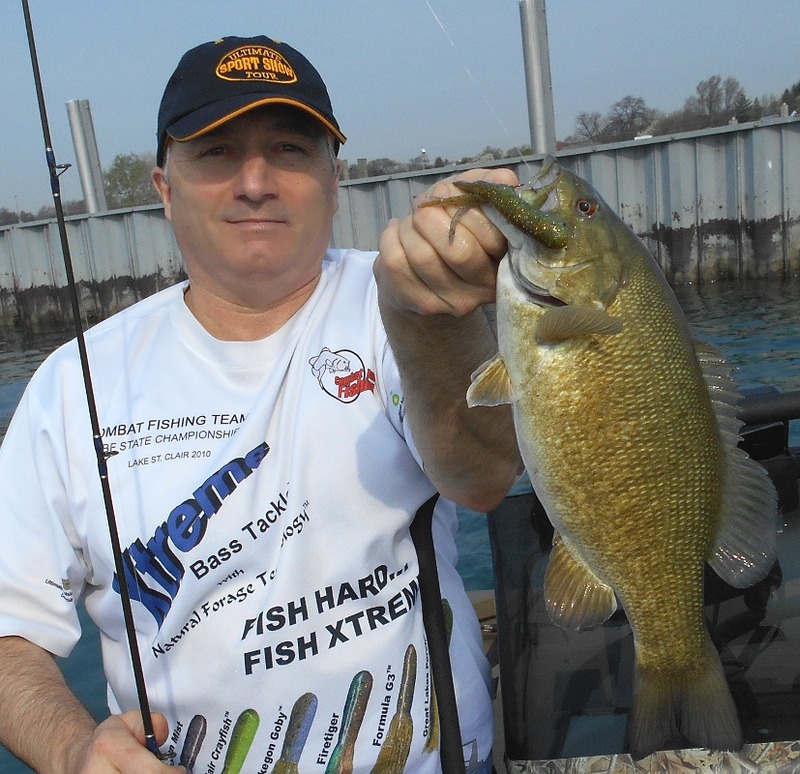 There is little doubt that the bite has picked up on Lake St. Clair and the St. Clair River. 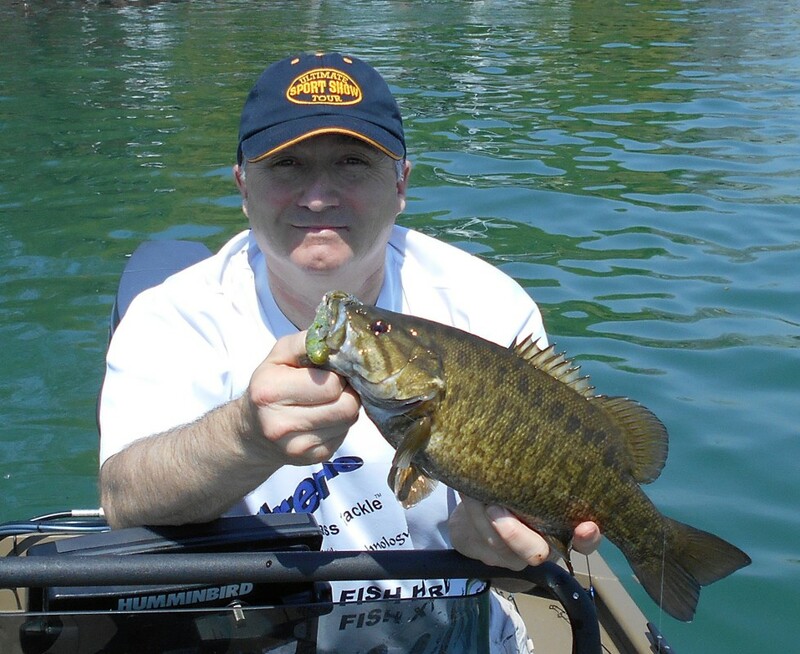 More and more we are seeing smallies chasing our hooked smallie up to the boat to try to take the bait away from it. Down deep, the bass are coming back for a second or a third try after a missed hookset. These are good days and a lot of fun. 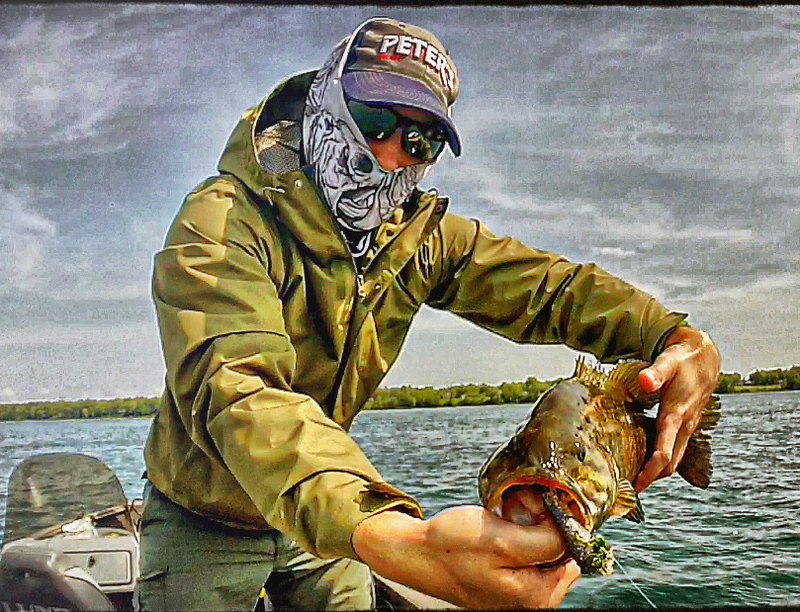 One of the key reasons for the uptick in the bite is the shift in feeding habits from mayflies to baitfish. Bass are coughing up baitfish on the way to the boat and on the boat. We are seeing bass busting minnows on the surface, casting to them and catching them. An unusual number of white bass schools on bass spots are another indicator that baitfish are present. Marked Maps™ customers will find a record number of spots covered in Marked Maps Live!™ this week! 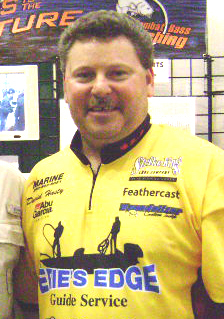 Don’t miss the Lake St. Clair Fishing Show this week (it should be posted by Saturday morning). We cover “how to make small adjustments to get the big bite” and more! Now you can get weekly updates on Lake St. Clair bass fishing from Combat Bass Fishing and Great Lakes Bass; powered by the expertise of Zowada Animated Productions! We will be bringing you updates each Friday through the end of September on the latest on bass behavior, location, tournament coverage and more! So enjoy the ride (we are) and click on the links below to get started making your Lake St. Clair experience the best that it can be! David Hasty strings together three days worth of smallmouth to top the co-angler field at the FLW Outdoors tournament on the Detroit River, MI (August 23 – 26)! His total weight of 55-02 lbs. put him eleven ounces ahead of his closest rival. Dave called in after day two to let me know that the reason he was in contention was because of the Xtreme Bass Tackle™, Canadian Mist tube. On stage Saturday Dave said that, and that he caught his last fish on a crankbait to put him over the top with only three minutes to go. This makes a 13th top 10 finish for Dave on the Detroit River. While asked what made it happen for him this week Dave immediately thanked all of his boaters who put in the work to line up spots and get him near big fish. Next he thanked his Dad for sharing “tips and tricks” with him over the years. “He taught me that when it gets slow, to grind it out,” Dave said. He then turned to the baits that made it happen and said that Xtreme Baits, Canadian Mist by Wayne Carpenter helped him to put together those stringers. You can order it now from the Xtreme Bass Tackle™ website or by calling TOLL FREE (877) 485-2223. Insert this high quality, cam action device right into where you’re old knob used to be! 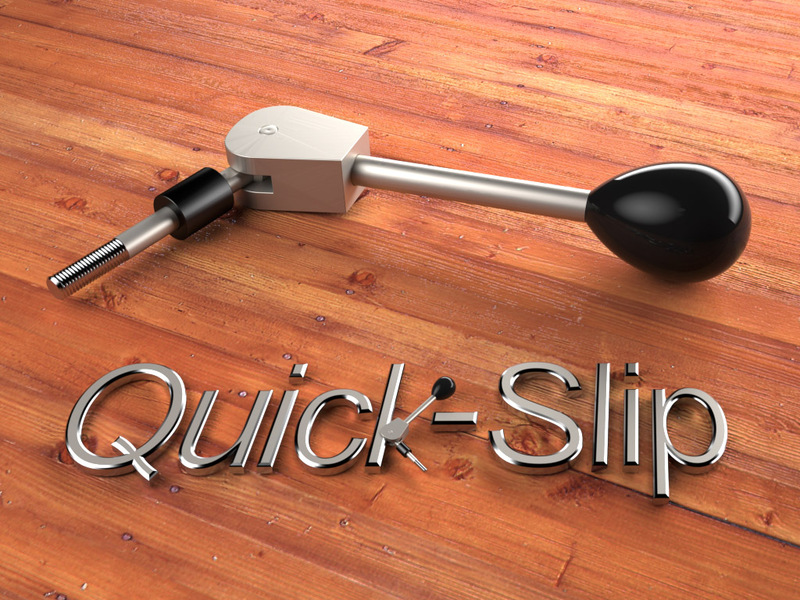 Not only does Dave enjoy the winner’s circle but he has also made our day on the water more enjoyable by inventing the “Quick-Slip™.” If you are tired of cranking that little knob to raise or lower your trolling motor then the “Quick-Slip™” is the answer for you. This high quality, cam action lever takes a painful turn of a knob into an instant, quick release and reset of your trolling motor position with little effort. You can order it now from the Erie’s Edge website under OUR PRODUCTS. Fishing the big water just got a lot easier with Lake St. Clair Marked Maps HD Complete™. 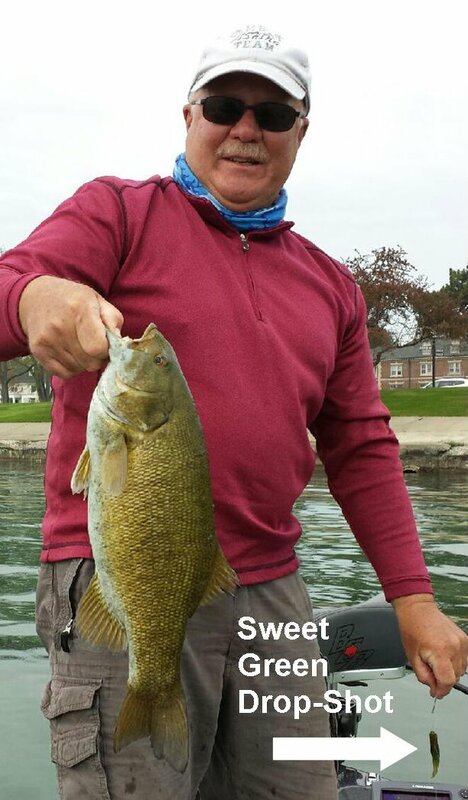 With 27 laminated maps assembled into a single chart book this NEW product release has already made an impact for anglers who are serious about crushing the learning curve and getting up to speed on Lake St. Clair smallmouth bass in a hurry.